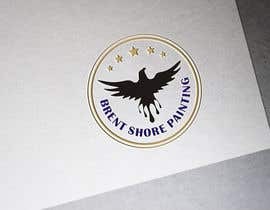 The business name is Brent Shore Painting. We are a commercial and residential painting company who caters to high-end clientele for custom work, now expanding to multi-states. 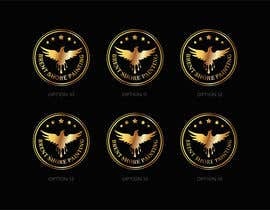 For the redesign: We want to keep the eagle and 5 stars theme intact but would like something like the second attachment's format (circular with paint streaks and stars). We also like abstract images. Please do not keep the image the same. We want to see something new and innovative. Remove the slogan or tagline. 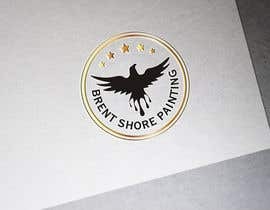 We only want Brent Shore Painting for wording. No cartoonish fonts or characters, please! We want the logo to be iconic and therefore should be easily viewable in single/double tone. Please do not use red, orange, or purple in the logo. Preferred colors are: navy, charcoal, black, silver, gold - though open to other pleasing palettes that denote trust and reputation. If this contest goes well, we will be looking to post work in the near future related to Wordpress theme design for our website. We will begin giving feedback 72 hours after contest start. This brief will be continuously updated. PLEASE NOTE: ORIGINAL designs ONLY. Logo will be trademarked.